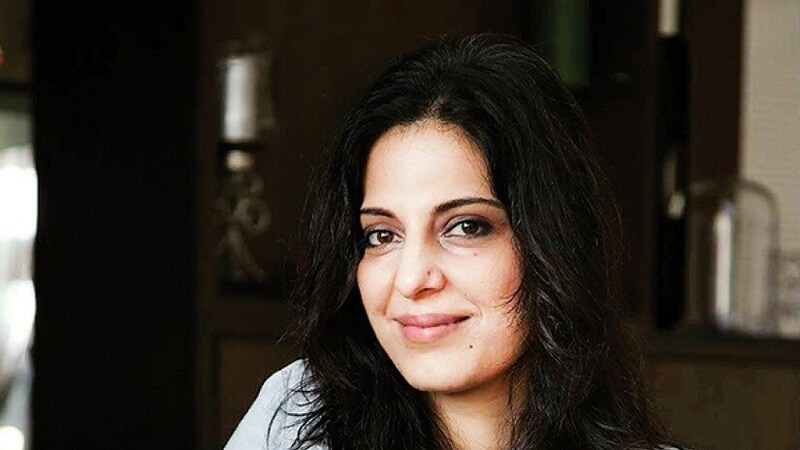 Chasing Juhi Chaturvedi for an interview, the writer of Vicky Donor and Piku, was tiring. It's exactly how I felt after watching her last film, Shoojit Sircar's October. An endless wait, made easier with hope. I must admit her WhatsApp display picture helped a lot. A gentle hand holding shuili flowers, without really holding them tightly. She allows the wind to take them away to where they are destined to be, confident that the fragrance will stay. After watching October, I felt drained yet spiritually active. As if I had gone for a long jog that exhausted me physically but rejuvenated me mentally. Was this a button you pushed through your writing to make us go through a similar journey that probably Dan (Varun Dhawan) and Shuili's mother (Geetanjali Rao) felt as they waited for her (Banita Sandhu) to recover from the coma? I'm glad that it felt spiritually active. The intention was not to make others feel such a thing. The writing journey itself was like this. It was in a spiritual space. We tried not to make it too intellectual or forcefully emotional. Because I feel like that simplicity is what we have almost lost these days. For example, while watching films like Bandini and Sujatha, I was a child. I could not even decipher the depth of those films at that age. But I encountered that heart-wrenching emotion. You do not know why you're crying. Towards the end of the film, I expected Dan to pick a shuili flower, pluck its petals one by one and go, "She loves me, she loves me not." Because the film just does not answer any questions. You didn't allow yourself to conform. How did you come up with such an unconventional narrative? While it may seem like deliberately written so, life is actually like that. It is pretty mundane, boring and static in that sense. There aren't really so many twists and turns, ups and downs. Even if there are turns, they lead to nowhere. Or there are times when you realise that the loop closed a long time ago. I don't see the film as two hours long. I see it as a year in the lives of my characters. Dan does nothing heroic. He is just a regular guy who follows his conviction. But how can I tell that to the audience? Even I do not know, because he does not know. Dan's unawareness is what his life really is. The film's trailer encouraged us to feel 'October in April'. How difficult is it for you to hope, and make others hope, through your writing? Hope is that one leaf, one flower that God has given us to hang on to. I am eternally hopeful. I wanted to share the eternal optimism that Dan has towards Shuili. He is not aware of it. He just follows his conviction, without thinking, without doubting, without faltering. Because I think when karma takes over, you do not need to lament about anything. You just need to keep at it because your energy really rubs off. At the same time, there is an uncle in every family who has a practical concern of pulling the plug. There is no malice as he does make those trips from Trichi. Even he hopes but maybe not as unidimensionally as Dan does. But his concerns do turn out true. She dies. Why should one then continue to hope? She could have died when she fell from the hotel terrace. Or could have died 20 years later. But that one year happened for a reason. Firstly, it was important for Dan's life. Had she died immediately, Dan would have remained the same. That is why there is an instinctive feeling in Dan to take care of Shuili. He feels that the time is not here yet. Also, it takes this much time to come to terms with what happened. All one is trying to say, is to wait. Visually, the film re-instills hope in those who have given up on Delhi. The polluted, untidy city is seen through a poetic and green lens in October. Why was the involvement of nature important? All those flowering trees and changing seasons do play a role in how your life is planned. In Mumbai, I can wear this shirt in both April and December. There is a sense of monotony. In the north, in places like Delhi, the general population's lives revolve around these seasons. Garmi aa gayi, woolens andar rakhne hain. Winter is coming, boots khareedne hain. These are short term achievements that seasons bring. In spring, the nature works hard year round to show off ek saal ki mehnat. To set this changing time span against Shuili's constant recuperation was to show that sab kuchh ho raha hai, just that she is not recovering. But those shuili flowers do help her. They give out hope. We have forgotten the therapeutic power that these flowers have. We are more attracted towards the flowers that we can buy from florists. These shuili flowers just fall from the tree and people step on them. They fall on the car and are wiped away with a ganda ponchha. This October, if even a few people notice these flowers, I'll feel that the film has achieved something. 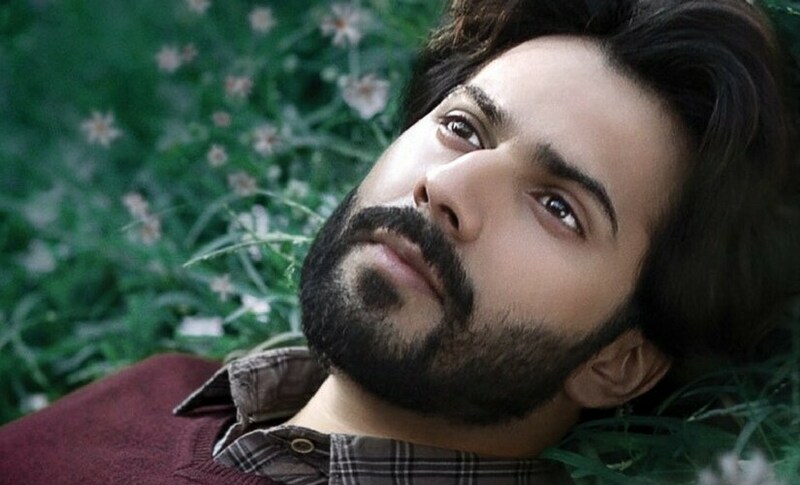 Varun Dhawan in October/Image from Twitter. You have also drawn a parallel between the two worlds of hotels and hospitals. Both have an air of clinical detachment and manufactured hospitality. Was this comparison intentional? Was it show that Dan is a misfit there? The people employed at both these places work way beyond their work timings. We stayed at this Delhi hotel for a month during the shoot. We saw this guy do more than 12 hours of work everyday. Even in hospitals, the nurses and the ward boys have a lot of handover work to do at the end of their shifts. As far as Dan is concerned, he can be seen as a misfit there. The field of hotel management does cater to lost souls. The lack of any bigger ambition in life could have made him opt for hotel management. But even when he was in the hospital, he could relate to the service staff because he plays the same role in the hotel. To put him into the hotel management sector was not intentional on my part, but I wanted to explore this space where the people have a dark side beyond all the chaka-chak lifestyle. But once Shuili falls off the terrace, then the comparison came to me. Both of these industries serve, one serves the ego while the other serves the person. One is so meaningless, whereas the other is lifesaving. In Piku, Bhaskor Banerjee, a character created by you, tells his daughter to never put him on life support. But Dan's optimism is diametrically opposite to that viewpoint in October. Is this conflict a part of you? What is then, your personal stance on euthanasia? That is Bhaskor at 70. He has lived his life. There is a certain grace in death. That whole idea of depending on others in that age chokes you. Then to depend on a machine seems even more futile. Ventilator literally seems like a dhakka on the motorcycle. For Shuili, at 21, the immune system is stronger. She will respond more to the treatment. I'm in full awareness that Bhaskor said something else, and Dan said something else. And both their stances are a part of the conflict within me. But personally, if anyone asks me if I want to be put on a ventilator at 70, or even 90, I would say yes. I do want to hit that 100 mark. I love life that much. Do you ever feel apprehensive that the characters created by you will not be pulled off with actors who lack the chops to bring them to life? I don't think that is a concern. An actor would not agree to do such a role if they do not relate to it. There must be something within them that feels for that part. 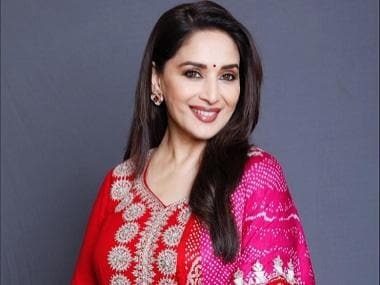 For example, we initially narrated Piku to another actress who could not relate with it. But when we narrated it to Deepika, she said yes within the first 10 minutes. She said, "I'm like this at home." Similarly, Varun has no experience of hospitals, accidents and loved ones in coma. But he shared with us an incident that made him relate to the sense of loss in October. When he was shooting for Main Tera Hero, his dad collapsed and told him, "I'm gone." While he survived, that fleeting moment stayed with Varun. And that is where he drew from when he played Dan. Will we ever see you work with any director other than Shoojit Sircar? I'm not working on any script as of now. I've been approached to write stories but those meetings have been very official. "Send the first draft to me by this date," they say. But hey, I want to be there too! I feel involvement in every process of filmmaking makes my writing better. Shoojit has allowed me that space. I'm writing dialogues for Shonali Bose's film, based on Aisha Chaudhary's life. Her screenplay allows me enough creativity to envision what would have been her family's dining room conversations, but yes I'm restricted by facts as it's a true story. Oh and yes, I'm once again writing about hospitals and ailments, in my fourth film.